As part of our community development initiatives we offer a number of value-add services to corporate CSI and SED departments to enable them to work more effectively with community projects and to maximise social spending. Siyakhula Trust has been instrumental in assisting many corporate companies train their CSI practitioners and to set up their CSI departments. 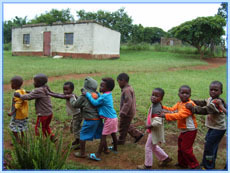 Siyakhula Trust is aware that many CSI / SED departments are significantly understaffed, with the result that they are not able to visit communities and projects as often as they would wish. Funders realise the importance of their CSI / SED spending and intend for it to make a significant difference to the ultimate beneficiaries of the projects they support. For money to be used effectively, Non Profit Organisations need to operate on good governance principles and are expected to supply the necessary narrative and financial reports to funders. Unfortunately many NPOs require assistance to operate at the level required and in many cases, funds are not used effectively. In the past few years, Siyakhula Trust has been approached to assist corporate companies and funding agencies to conduct project pre-funding audits on their behalf. Our experienced community development specialists visit the projects and evaluate them in respect of their readiness to receive funding. Operating performance is measured against a set of criteria and a detailed report is submitted to the funder. Recommendations are made regarding what needs to be done to assist the NPO to build organisational and project sustainability. Siyakhula Trust then develops and implements a remedial plan to capacitate the organisation. Regular progress reports are submitted to the funder. The results of these interventions have been excellent and NPOs have developed confidence and skills, with many of them no longer totally relying on the funder for support. In addition we also conduct monitoring and evaluation audits. These have proved invaluable to funders as they allow us to report on whether funds have been used effectively in accordance with agreed funding deliverables. We are able to report on whether the primary and secondary beneficiaries have benefited as a result of the donation. We are also able to conduct situational analysis research on behalf of clients who wish to determine the needs within specific communities. 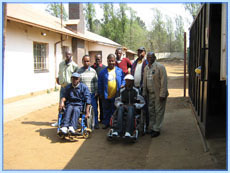 Siyakhula Trust has developed a range of practical capacity building programmes for community organisations. 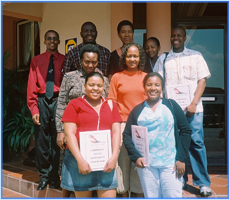 Siyakhula Trust offers an accredited 3 day training programme entitled Corporate Social Investment. The programme is aligned to a level 5 unit standard. This practical and valuable programme also includes an on-site visit to a community project. Please view our Public Programme page for more information.